I was never a fan of mac & cheese. I know, I know! I live in America and I don't really like the stuff, how can that be? But it's true! I would still make it for my family( except B. she inherited my dislike for the stuff.) and I will admit, most of the time it was the box stuff. Occasionally I would make it from scratch, but it still wasn't my favorite until I found this recipe in Gooseberry Patch's 303 Simple & Satisfying Recipes !. This book is a collection of favorites from their other cook books. This cook book is amazing and definitely filled with lots of yumminess. 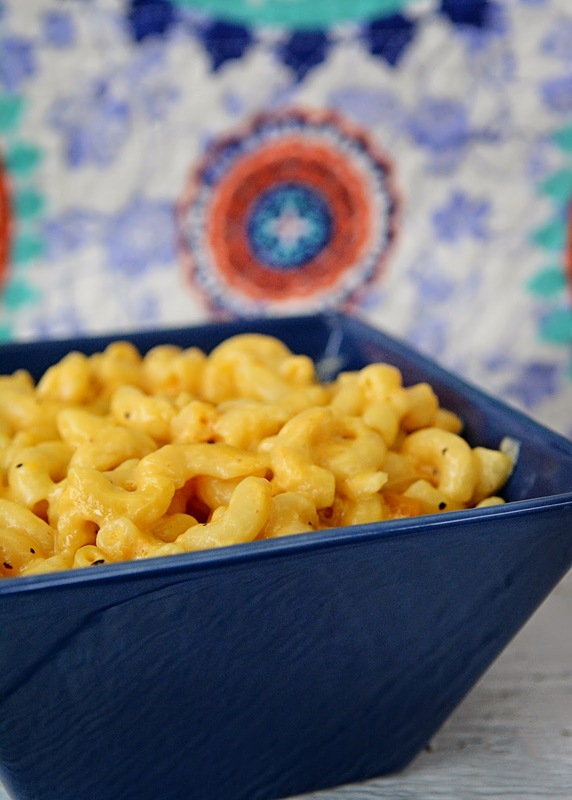 Now, I can actually say I like mac & cheese...even if it is only this mac & cheese. This is the creamiest and cheesiest mac & cheese I have ever had! My family definitely approves, even B! And the best part? It can be made in the crockpot! Combine cooked macaroni and oil in slow cooker, toss to coat. Cover and cook on low setting for 3 to 4 hours, stirring occasionally. Do you think that this recipe can be made in the new 9x13 casserole crockpot? Hi Judy! Thanks for commenting. Yes it most definitely can. I have since made it in one and it turned out just as good.